Islam just as in Christianity has many sects. 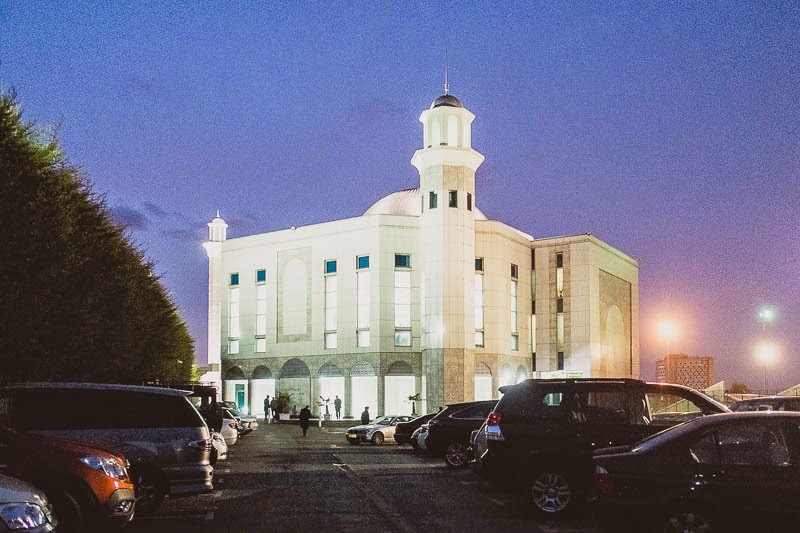 Here in London the largest mosque in Western Europe is that of the Ahmadiyya sect. With millions of followers and in over 200 countries their message is one of peace, tolerance and inclusion. On March 14 they held their twelfth inter-faith Peace Symposium on the theme of “Religion, Freedom and Peace” at their mosque in Mordon. More than a thousand people from around the world attended. They included politicians, ambassadors, religious leaders and intellectuals and me. 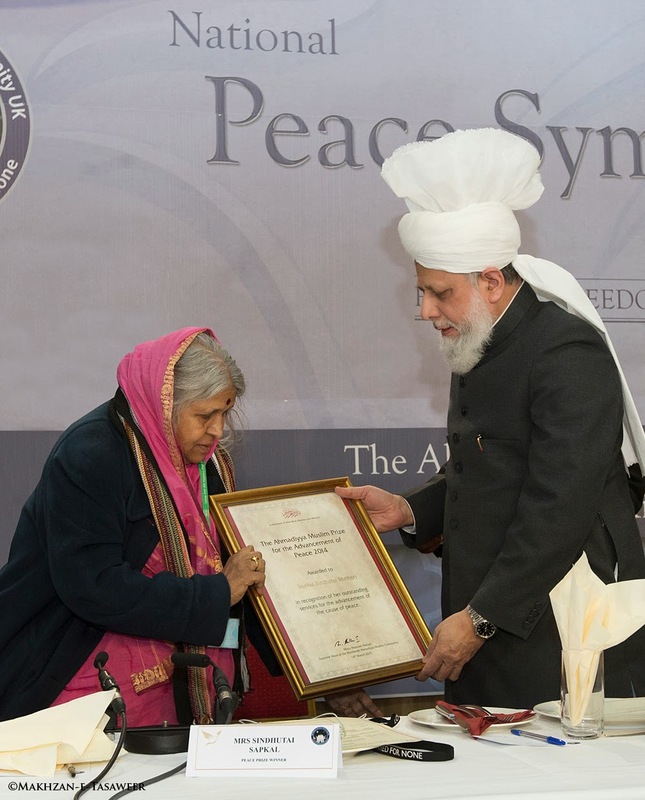 The event always honours a person who has advanced the cause of peace. This year the award was given to Mrs Sindhutai Sapkal. Also known as the “Mother of Orphans”, she is a social worker and activist known for her work raising orphan children in the district of Maharashtra, India. Her life is an achievement in itself. She was a cowherd who was married at the age of ten and had three sons by the age of twenty. When she clashed with the local strongman who was fleecing the local community, a local councillor convinced her husband to divorce her. At the time she was nearly full term with their fourth child, a daughter. She turned to her mother who refused to take her in. Desperate and suicidal she thought of all the children who are abandoned by their families and decided she would be their surrogate mother. Over the ensuing decades she “adopted” more than 1000 children. Devoting her entire life to mothering and nurturing them. At the age of 80, her husband came back and apologised. She took him in as another child, stating she is only a mother now. Speakers from various communities and sectors spoke to the theme of the symposium and the effects on local and world events. 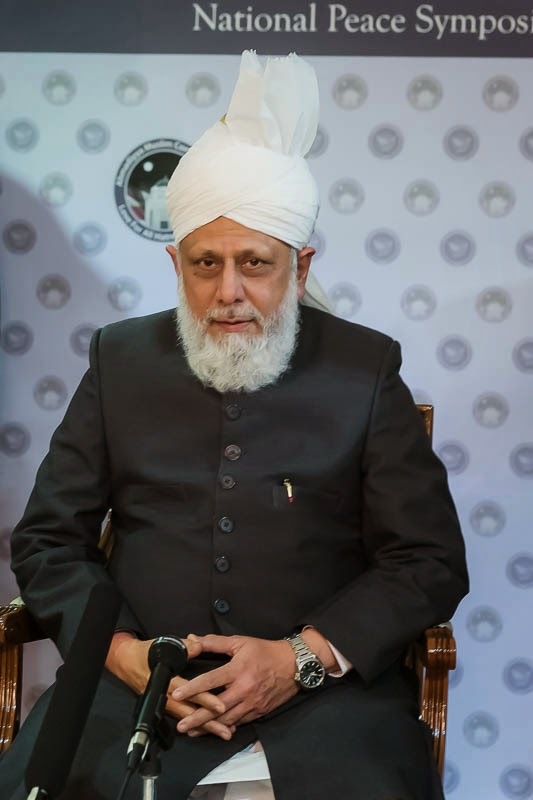 The keynote address at the event was given by the global spiritual head and Caliph of the Ahmadiyya Muslim Community. Mention Islam or Muslim these days and the chances of a negative reaction are pretty high. His hard hitting speech condemned all forms of terror and warned that a world driven by greed and an unquenchable thirst for power was heading toward a third world war. Anti-immigrant sentiments growing and a global arms race were also undermining peace. He said, it is the responsibility of every country and community, all people and their leaders to change direction and fulfil the requirements of justice, fairness and honesty at all levels of society. Thanks, it's brilliant to see this, a definite must for the annual 'peace' calendar of London! It's a very beautiful mosque Mo, always sad when rogue breakaway groups hurt otherwise peaceful religious communities.